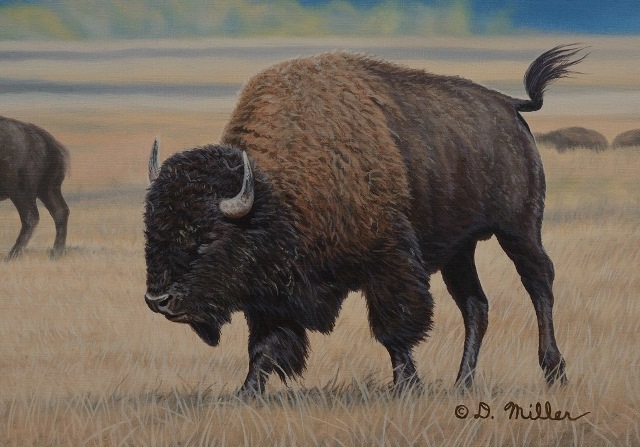 At first glance, oil paint is typically the last thing going through one’s mind while examining a painting by Darin Miller. 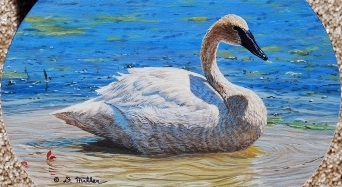 He strives to make his art look impossible to paint and feels that his medium offers many advantages over others. 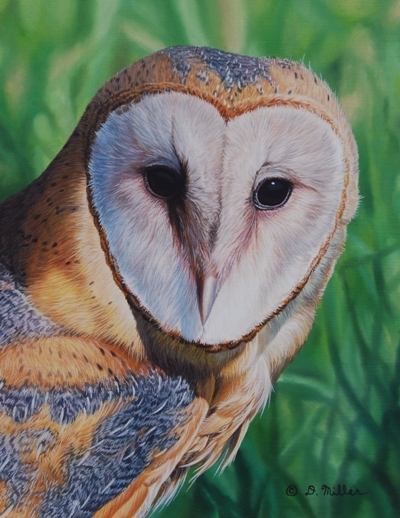 Artistic at a very young age, he developed a passion for wildlife and nature. 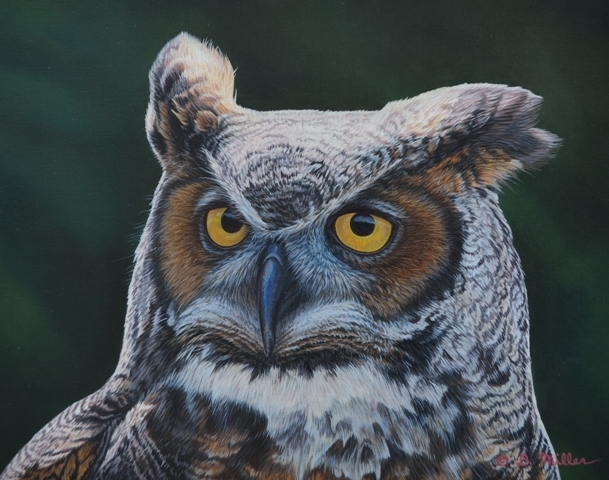 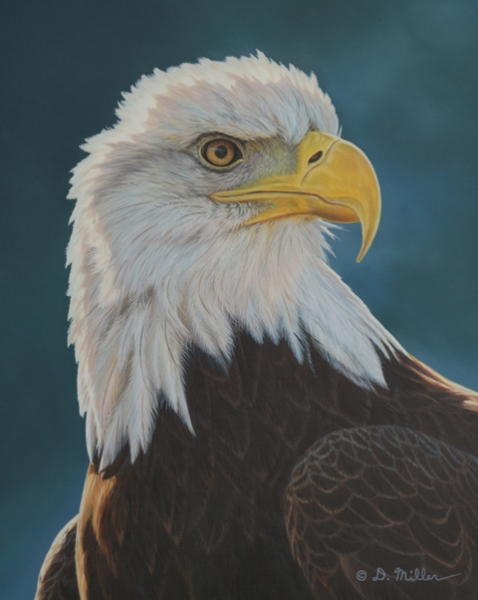 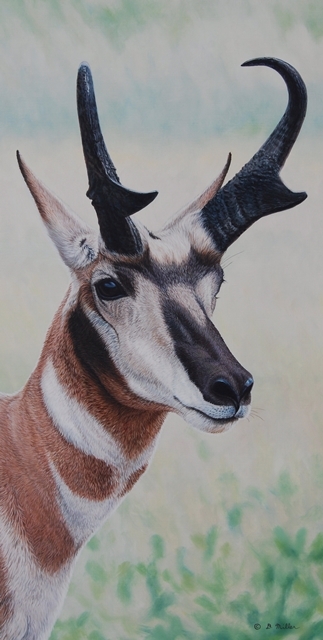 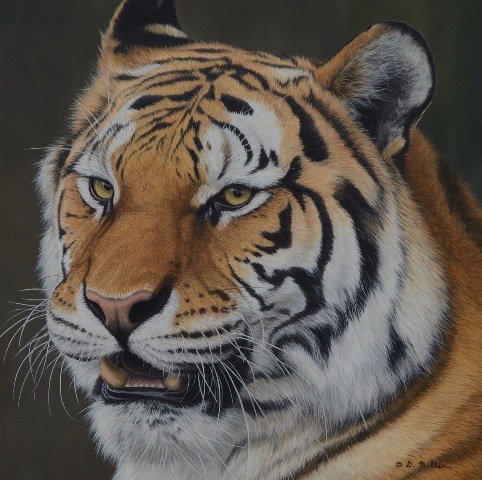 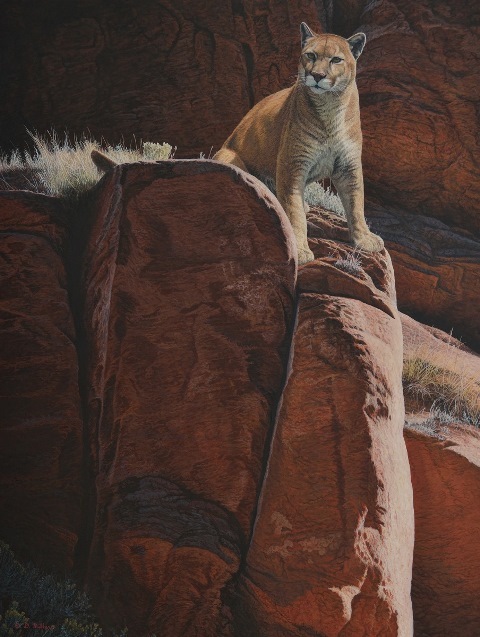 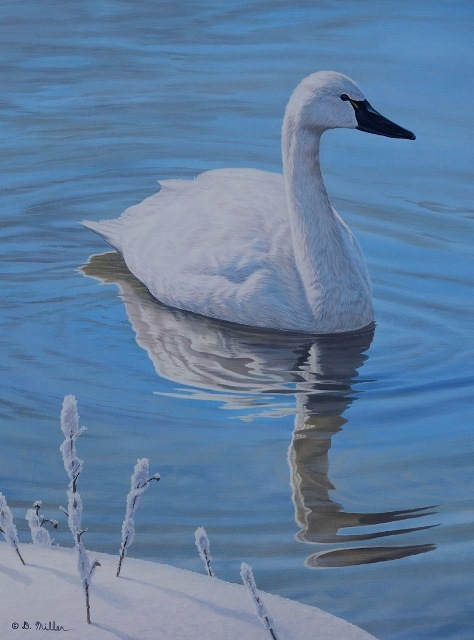 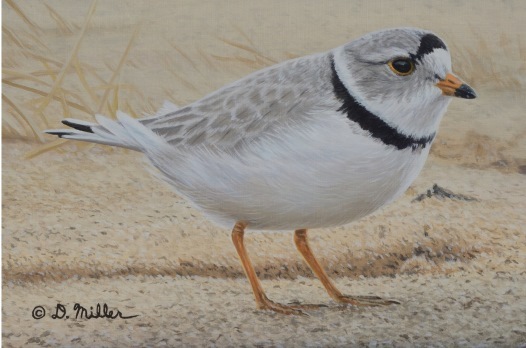 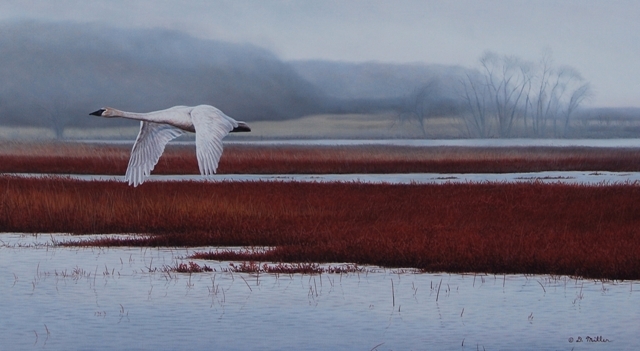 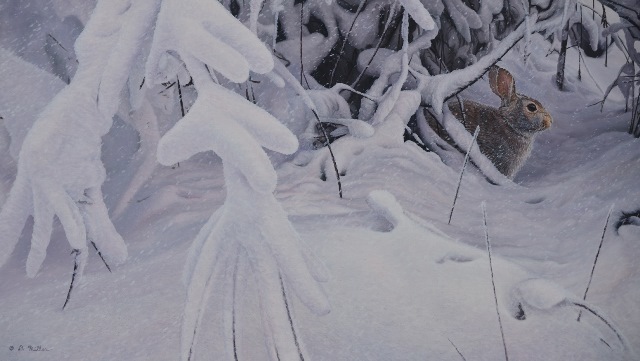 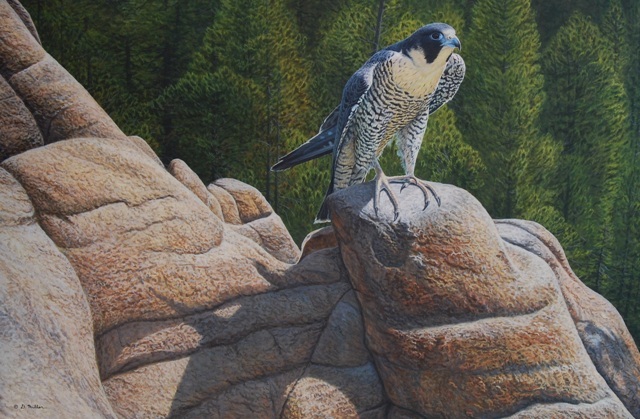 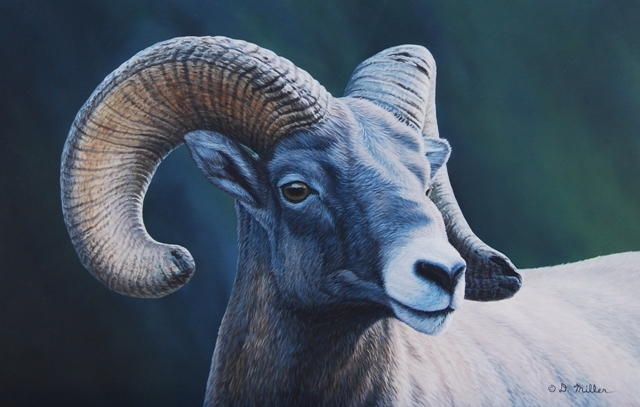 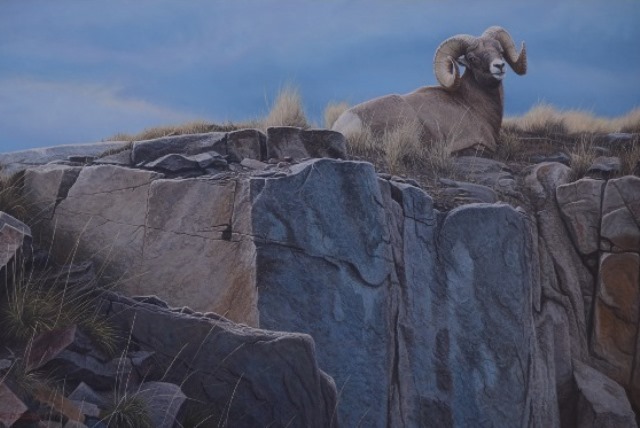 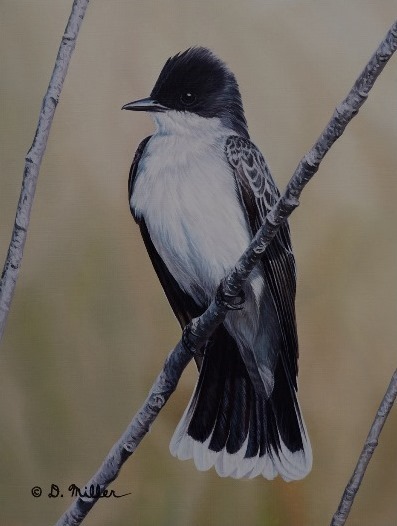 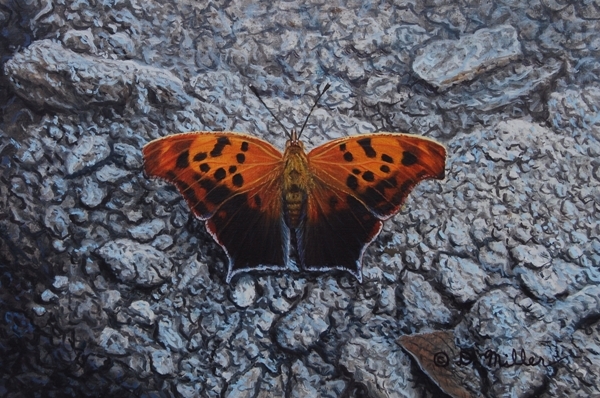 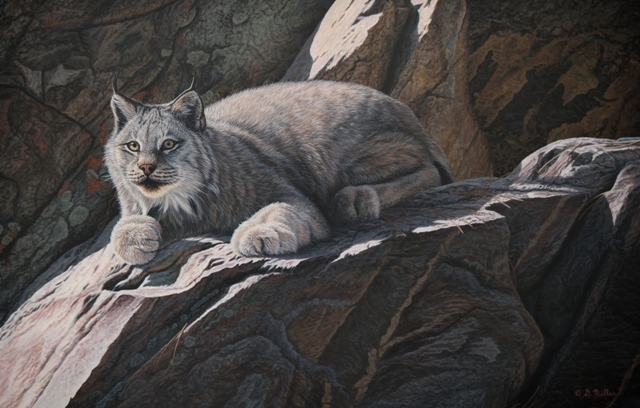 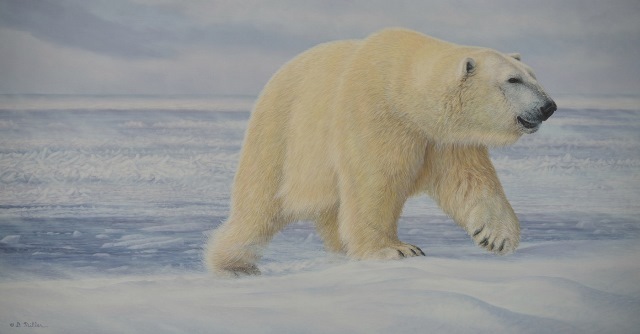 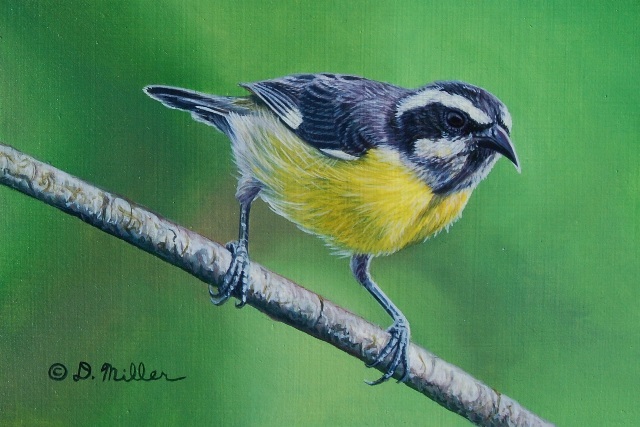 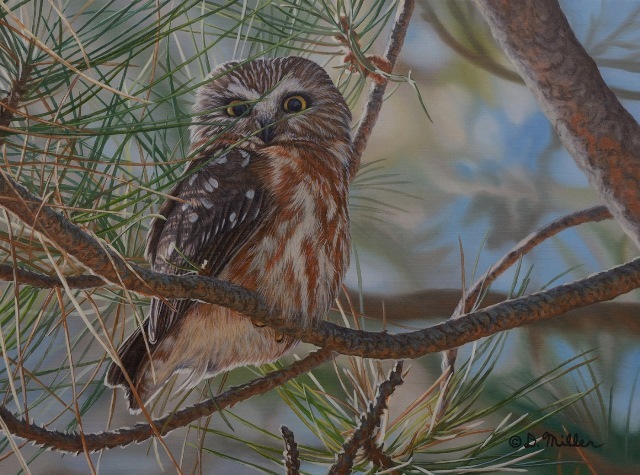 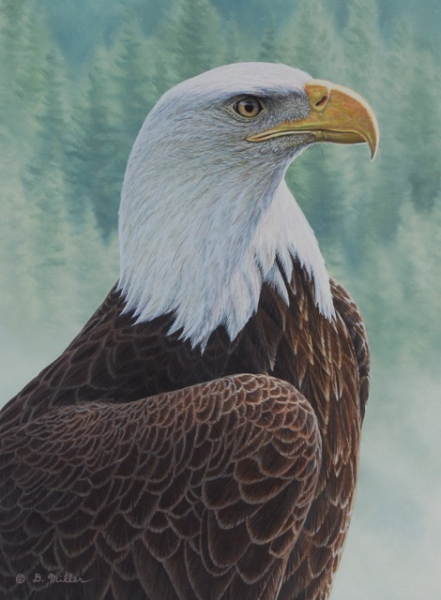 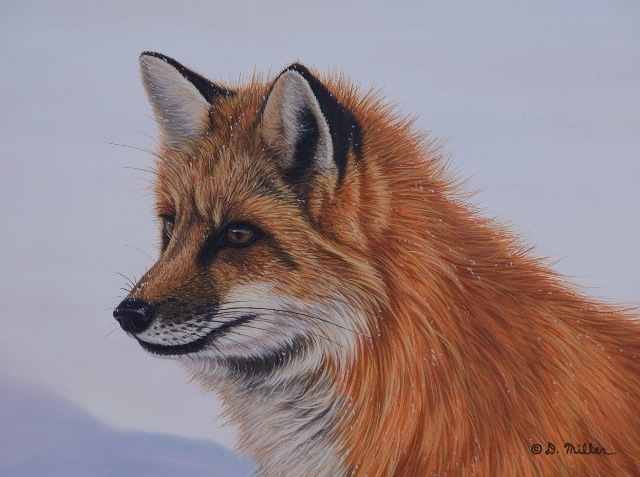 As a signature member of the Society of Animal Artists, he has received the Haller Distinguished Young artist award, and exhibits with the society regularly. 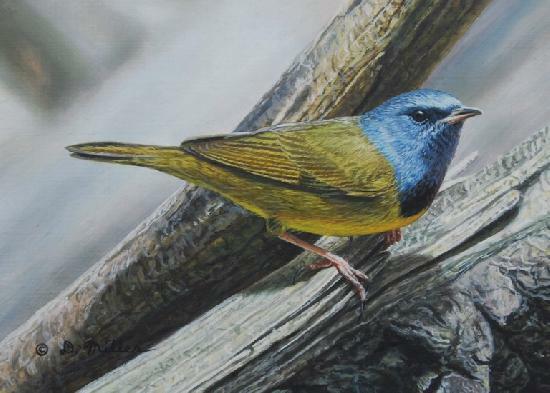 Darin’s proximity to Magee Marsh (Ohio), has turned him into an avid birder. 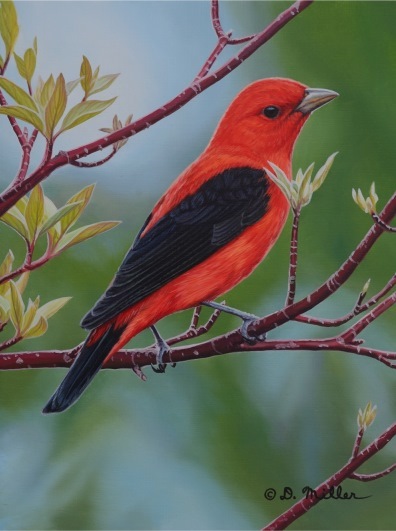 During late April and early May, the trees near the boardwalk are dripping with migratory songbirds, and it is not uncommon to be within arms length of them. 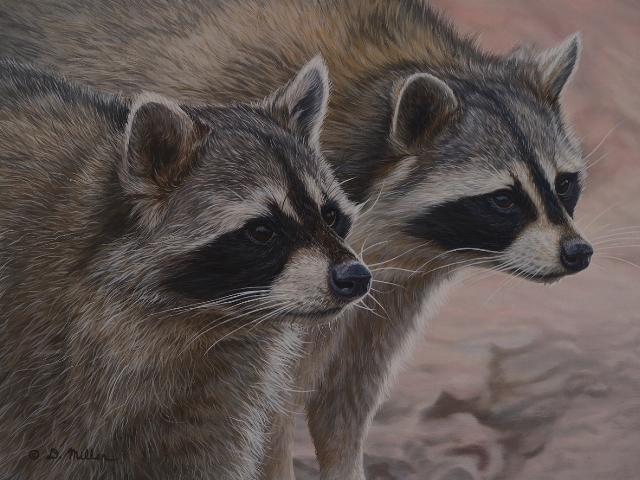 The encounters have inspired many paintings, along with a knowledge of songs and nesting habitats. 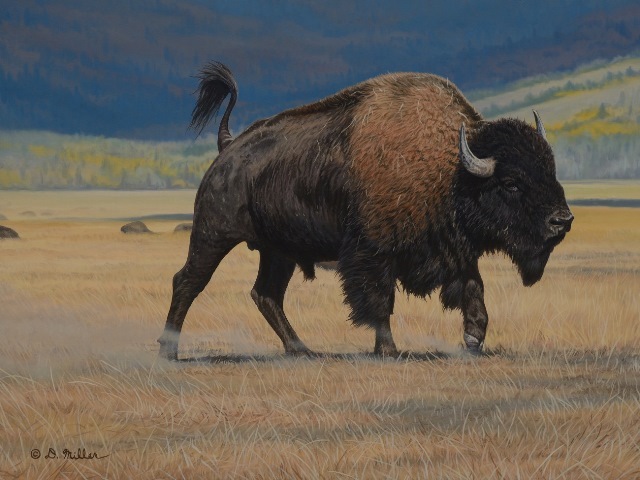 The west has also been a source of great inspiration for the artist. 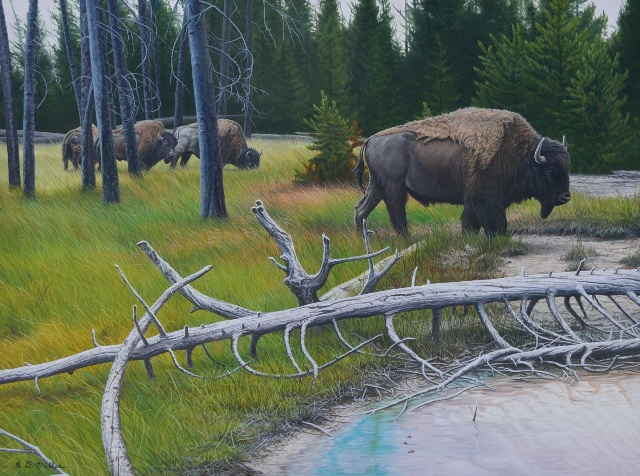 The scenery and wildlife of places such as Yellowstone and Glacier National Parks, represents an unlimited supply of ideas for his work. 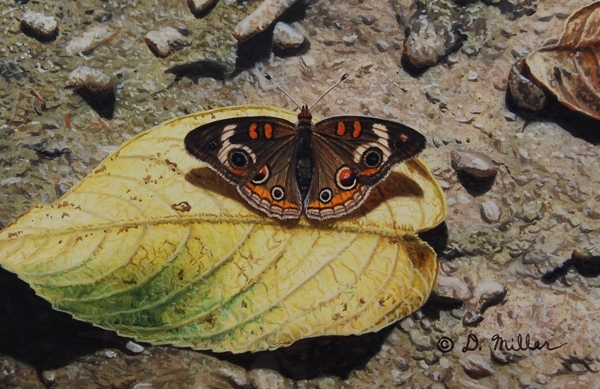 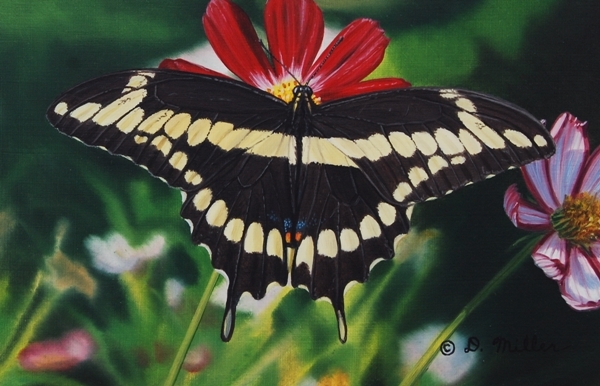 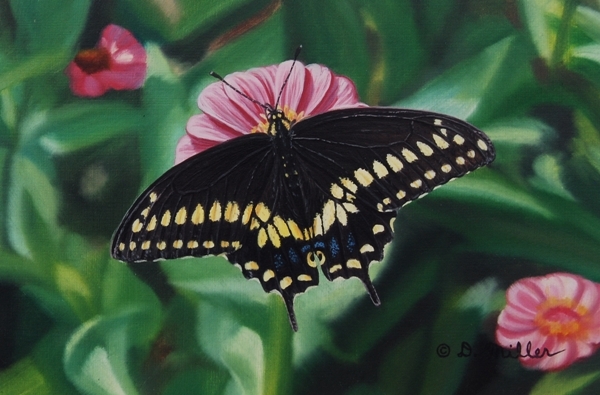 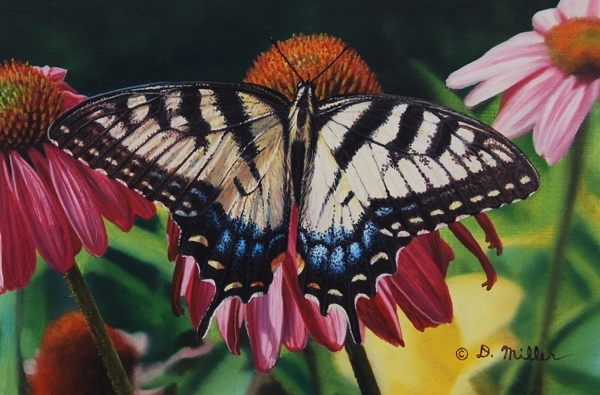 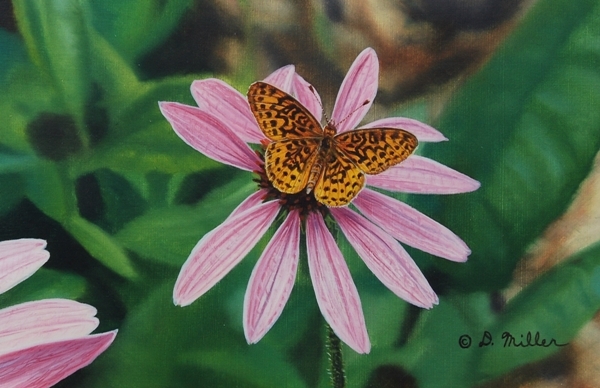 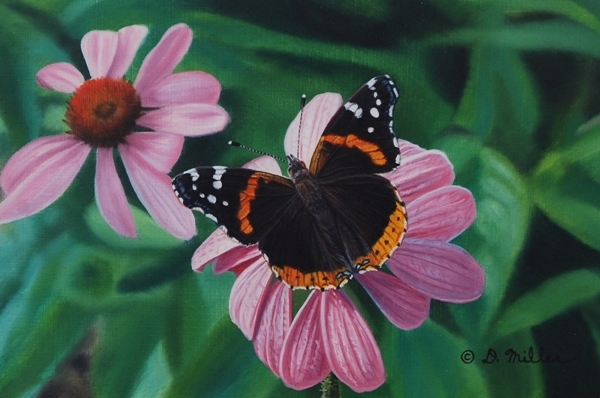 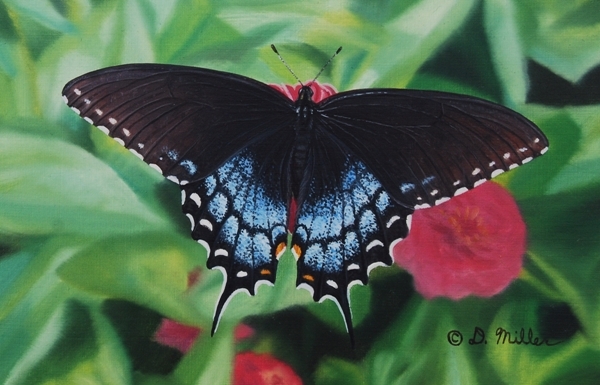 His work is very labor intensive, taking anywhere from one week to one moth per piece. 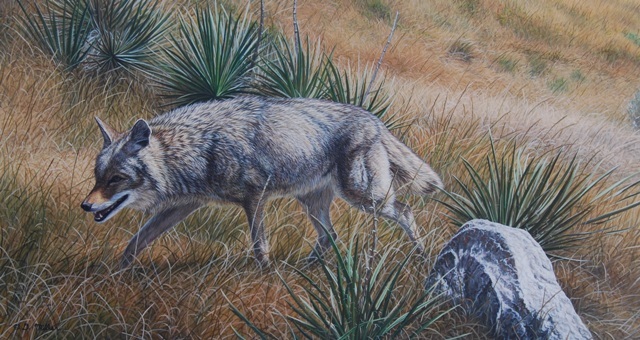 The time spent in the field is very important to his work. 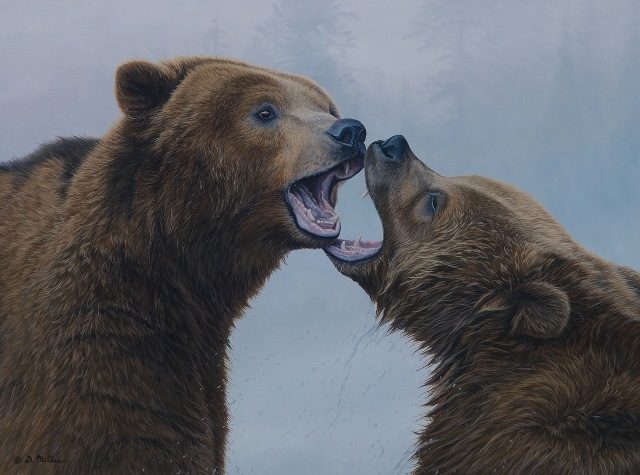 Painting this detailed requires a lot of information. 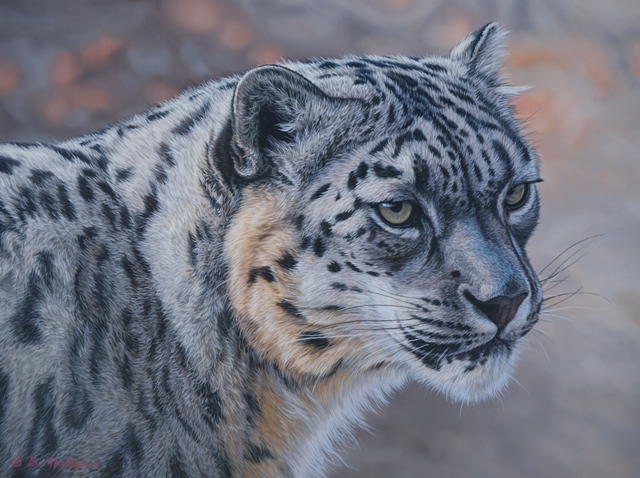 Bad reference photography leads to bad paintings, so extra care and and time are taken to get the best reference as possible. 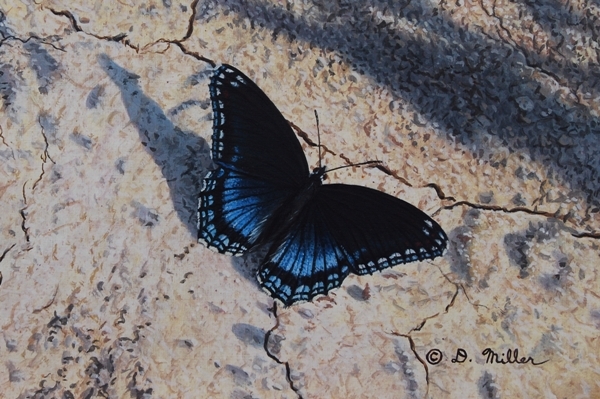 Sometimes the difference between a good photo and a great one is patience.